The abiding, altogether involving impression is one of utter sincerity and refined, fluid finesse. Immediately striking here in Buxtehude’s slow-moving Passion meditation is the quiet, articulate intensity and aching sense of intimacy on display. 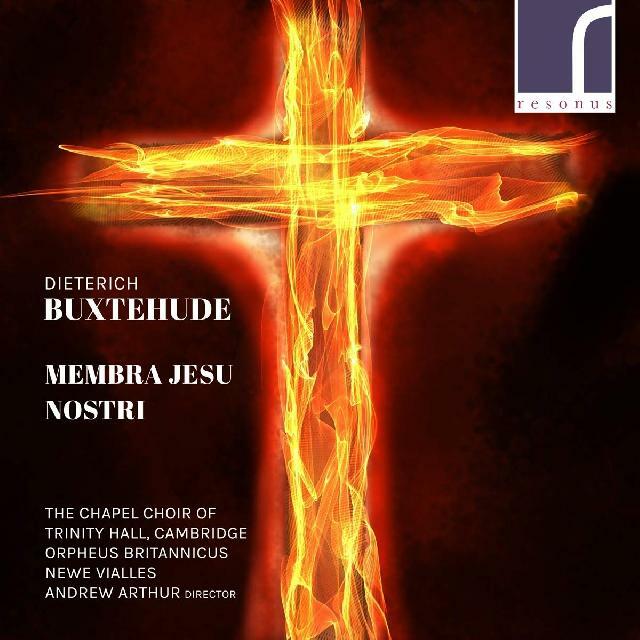 Andrew Arthur has deftly augmented his eloquent period-instrument ensemble and vocal consort Orpheus Britannicus with the mixed voices of Trinity Hall, Cambridge’s Chapel Choir and, tellingly in Ad cor (the penultimate of seven darkly lyrical cantatas), the viol quintet Newe Vialles. The result is really rather moving, performances characterised by clarity, precision, nuanced responses to changes of expressive tone and emotional temperature, and an admirably flexible reciprocity between all concerned. Arthur’s marshalling of his two choirs, five solo voices and instrumental accompaniment is beautifully shaped and just as adroitly framed by his own production and Paul Crichton’s textbook engineering in the accommodating acoustic of Jesus College’s Chapel. The abiding, altogether involving impression is one of utter sincerity and refined, fluid finesse. Excellent booklet notes by Arthur and Franco Basso perfectly complement these fine and valuable performances.